Students are learning more advanced academic skills earlier than in years past and are completing work all day long, and sometimes they need a break on their own. But the teachers giving excellent instruction in the academic standards do not always explicitly teach social-emotional learning, which would help children recognize their need of a break. Many would argue that emotional intelligence is just as important as academic intelligence as a predictor of future success, but it is often neglected as a curriculum and not considered when teachers are setting up a classroom. Students are at school for generally seven to eight hours a day, most of which is spent in a classroom setting next to the same people. Many classrooms do not allow much opportunity to get up and move about when a student becomes restless or anxious, as anyone is wont to do. Expecting children to do sustained work in assigned seats is not always going to get the best results. For this reason, instituting an area of respite, or a Quiet Zone, can help improve student engagement. And after establishing a Quiet Zone, teachers can learn how to instruct students in an important social skill: the art of getting away. This aspect of social-emotional learning is an essential component of a quality teaching practice, and self-regulation is a key element. We ask students to walk away from conflicts on the playground but do not extend that same consideration across all settings. A Quiet Zone is easy to establish and allows a student to practice the art of walking away. Quiet Zones can come in any type of configuration and only need a few simple rules to be used effectively. The first rule of the Quiet Zone is the easiest to learn: Enter the Zone. The second rule is to choose a tool to help calm down. Some suggestions include foam squeeze balls and stuffed animals. The specific tool is unimportant—what matters is to find something to focus upon rather than the flood of emotions of that moment. Next comes setting a timer to five minutes—the maximum amount of time a student should spend in the Quiet Zone. A break of over five minutes means the student is wasting time, or is in greater emotional distress and in need of a more significant intervention. Breathing techniques are a quick way to practice those self-regulation strategies. Finally, once the five-minute timer goes off, the student needs to rejoin class and carry on with the current activity. Teachers can use a theme when setting up a Quiet Zone. This example, from the writer’s school, is called the Yoda Zone. 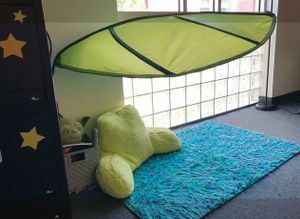 As with any classroom procedure, the rules and expectations must be taught at the outset so students know exactly how to access the Quiet Zone and for what reasons they are able to use it. Students can use the Quiet Zone when they are overwhelmed by difficult work. Peer-to-peer problems are also a good reason to need a few minutes break alone. An observant teacher can direct a student to the Quiet Zone in an empathetic way when the latter seems overstimulated or distracted. And only one student can use the zone at a time. Students don’t even really need a great reason to use the Quiet Zone because, frankly, everyone needs a break from time to time. The Quiet Zone should never be used punitively; instead, students should be positively rewarded for using it of their own accord or even at the teacher’s gentle direction. 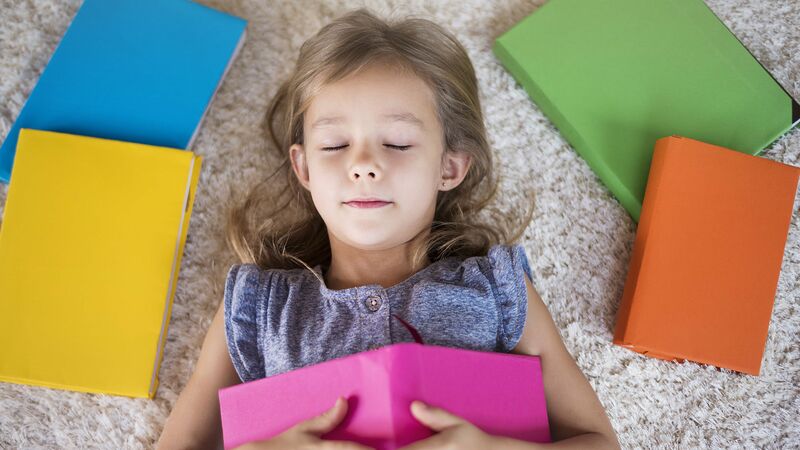 Setting up a Quiet Zone in a classroom should be easy and rather straightforward. Establish an area in the room that is preferably a bit secluded. The Quiet Zone should have a comfy place to sit down like a beanbag, bench, or large pillow. Post the rules so they can be reviewed and followed by every student entering the space. The tools should be easily accessible and can vary according to a theme or interest. Jungles, oceans, a flower garden, even Star Wars can all be themes of Quiet Zones. One teacher has a Yoda Zone with a green leaf canopy and plush Yoda doll that students squeeze when frustrated. Students love the Quiet Zone, and once implemented it will be a helpful resource to every student in the room. Exemplary scholar students, shy and quiet types, ones with emotional difficulties—everyone will access the Quiet Zone at one time or another. Teaching self-regulation strategies in this way as part of a social-emotional learning continuum has the chance to help every student.